The kitchen: tradition, innovation and freshness! Leopold, the chef, has brought to the table fresh and creative and the contemporary. The dishes mom Sandra, the tradition of pure, are then revisited and presented in an interesting and delicious! wake up with the right gear! We like to pamper you from the first morning with lots of homemade goodies: cookies, cakes, donuts and many other delicacies to start your day with a higher gear, and in the sweetest of ways! There are lots of hot drinks with freshly-ground coffee, because we like to treat every aspect of your experience, especially the beginning of the day! The hotel Smile, it all begins with the smile and with a lot of delicacies fresh and tasty. We would like to fulfill your food needs, and whether ethical choices (vegetarian dishes) whether health needs (dishes, gluten-free). Leopold, helped by mum Sandra, can with attention to prepare on request this type of food, with a lot of taste and creative goodness! Available to people with vegetarian (and not!) there is the rich buffet of raw vegetables, parmesan, Russian salad, gratin, and so much more. Every Sunday evening, an unmissable event at the Hotel Smile, to refresh the end of the day with a tasty drink! Spritz, iced tea, chips and snacks from 18 up to dinner time. 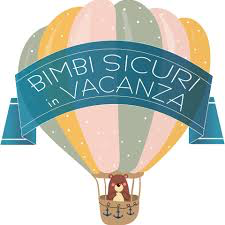 An opportunity to spend time in our company, and why not socialize and make new friends with other hotel guestsfor pleasant moments to remember and take home as a souvenir of your vacation at the Smile of Rimini!